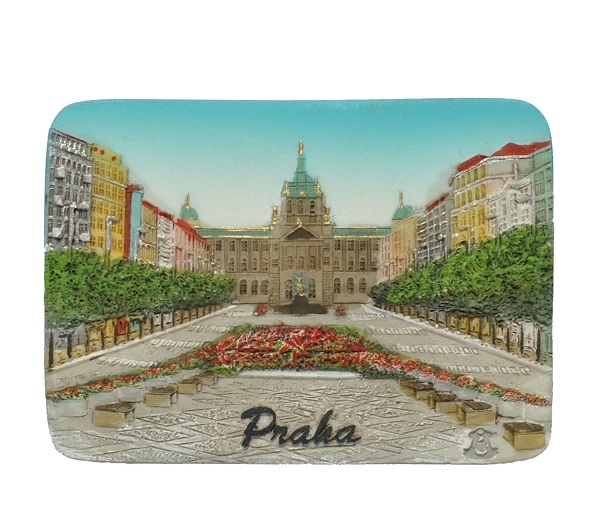 Ceramic embossed fridge magnet featuring the Prague Venceslav Square as seen from Mustek, with the National Museum building in the center top. Make your fridge door to remind you of your stay in Prague. Elaborated in high detail and fidelity. Made of non-glazed ceramics, hand painted. Authentic souvenir designed and manufactured in the Czech Republic.